Just as you can tell where your friend spent his holidays based on the tan of his skin, scientists can tell where and for how long meteorites travelled in space. Like your friend, meteorites have been exposed to solar radiation which have left peculiar imprints on their outer layer. Together with colleagues, Antoine Roth, postdoc at ETH Zurich and member of PlanetS, has developed novel analytical techniques to detect such imprints which allow them to reconstruct the space journey of meteorites. The inconspicuous, small stone that was analysed with high-tech equipment is named Jiddat al Harasis 466. It travelled a long way before it entered the Earth’s atmosphere and landed in the desert of Oman. «We think that Jiddat al Harasis 466 was formed 4 million years ago as a remnant of a crash of bigger blocks in the asteroid belt between Mars and Jupiter,» explains Antoine Roth from the Institute of Geochemistry and Petrology at ETH Zürich. Then, after a rapid transfer from the asteroid belt to Earth it was intensively heated during atmospheric entry and lost a lot of material. What was originally a stone with a radius of 2 cm ended up as a 1 cm meteorite. 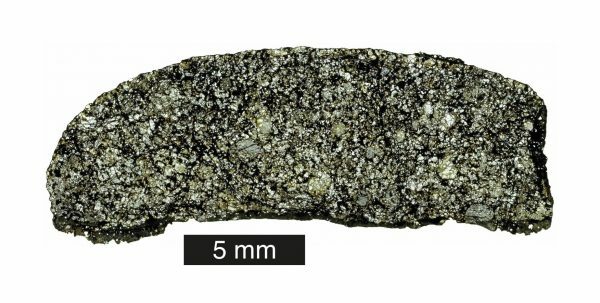 Jiddat al Harasis 466 is one of 25 small meteorites that Roth chose for his study being now published by the journal «Meteoritics and Planetary Science». To find out details about the history of the samples he was looking for neon. This noble gas can be produced by energetic solar radiation splitting for instance magnesium atoms that are part of the rocky material. Knowing the amount of solar-cosmic-ray-produced neon scientists can figure out in which distance from the sun and for how long a meteorite travelled in space. «It’s like being able to tell whether your friends spend their holidays at a sunny beach or in a cold place because of their tan,» says Roth who is also a member of the Swiss National Centre of Competence in Research PlanetS. Previously, solar-cosmic-ray-produced neon had been found in Martian meteorites but not in ordinary so called chondrites originating from the asteroid belt. «This may be the result of a sampling bias,» Roth assumes, «because neon produced by solar radiation is better preserved in meteorites with small pre-atmospheric radii and these specimens are often studied only if they belong to unusual or rare classes.» Since the solar cosmic rays penetrate only a few centimeters into the rocky material, with bigger samples the neon gets lost when the meteorite is ablated during atmospheric entry. But in small samples the noble gas can be preserved in the center. 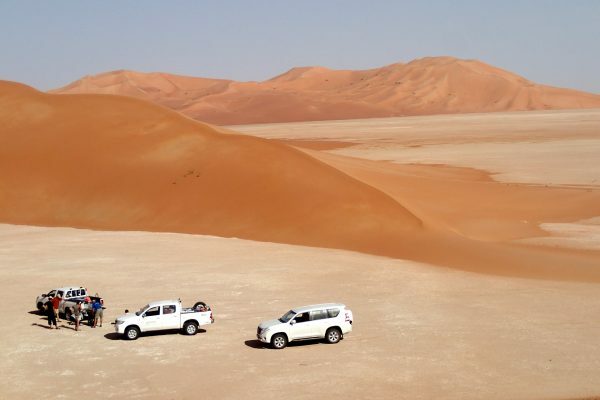 Looking for small meteorites the scientist found a rich collection at the Natural History Museum in Bern that coordinated several meteorite search campaigns in Oman. Using an infrared laser and a mass spectrometer at the University of Bern, the researchers could extract the neon from the samples and measure its isotopic concentrations which is necessary to determine the proportion of the noble gases really originating from solar cosmic rays compared to those produced by galactic cosmic rays. To analyse the measured data and calculate the actual production rate, Antoine Roth and his colleagues developed a new physical model. It also predicts the average distance to the sun at which the meteoroid has been irradiated.